Merz North America, a division of Merz Global, was a relatively small player in the bustling, saturated pharmaceutical marketplace. The company aspired to be admired, trusted and have a reputation for innovation, but it wasn’t sharing a clear, relevant and distinctive story with its stakeholders. 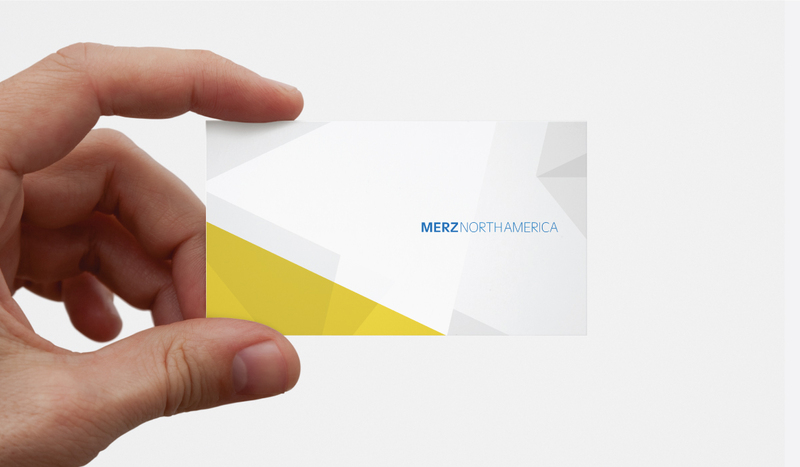 Up against bigger, high profile players like Allergan and Galderma, Merz needed to define and articulate its brand story and communicate its value to customers and employees. Merz asked us to help uncover and bring to life a brand strategy that would position the company more effectively in North America. Beyond the brand strategy, Merz needed the proper tools with which to tell its new story. Baker developed a brand expression — both visual and verbal. Directed not to touch the original Merz logo, we instead reimagined and repurposed the logo’s heptagon, creating an entire visual vocabulary. Heptagons are scaled, layered and deconstructed to suggest progressiveness, anticipation and opportunity. This visual, paired with a messaging framework, not only supported but also constantly reinterprets and extends the “Better” positioning. Additionally, we defined a master brand architecture to better unify the wide range of business units within the global company. The internal launch of the brand was met with great excitement and enthusiasm. It was kicked off at the annual sales meeting in Las Vegas, Nevada. Employees, who had longed for a more articulate and relevant story to live and deliver, fervently embraced the company’s new look and messaging. In addition, knowing the brand’s continued success would rely on the carrying forward of a healthy, supportive internal culture, we also helped Merz focus its employee communication. We worked with the CEO to capture the quality of experience offered at Merz. This strong message of professional and personal opportunity was summed up in collateral materials shared with both internal teams and prospective employees. Lastly, we helped Merz NA embark on a physical transition — a move into a new 60,000 square-foot office headquarters in Raleigh, North Carolina. As the company brought all of its business units together under a single roof for the very first time, they asked us to help set a fresh tone. We designed environmental graphics that tell a clear story of where Merz is moving — toward an energetic, collaborative future. In this Q&A we demystify brand positioning, explain how to uncover a strong positioning, talk about the benefits and more. In today's content-centric world, every company is in the business of communications — but not all communications are created equal. Creating and sustaining market advantage requires constant monitoring, awareness and anticipation of the companies in your competitive set. At Baker, we use these studies to inform our thinking and ensure the ultimate end product is unique and engaging.